AVOCAB – CHANDRESH CABLES LTD.
Avocab is manufacturing LT Power Cables with PVC or XLPE insulation of voltage grade upto 3.3 KV conforming to various Indian and International Standard Specifications. AVOCAB is one of the largest manufacturer of variety of cables and an established name in India as well as abroad. AVOCAB Wires and Cables are most preferred with numerous installations throughout the country. The range of products includes Power Cables, HT XLPE , LT XLPE And PVC Cables, Instrumentation Cables, House wires and Flexibles. 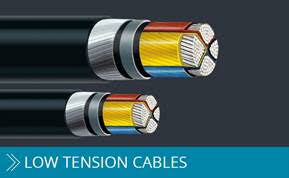 AVOCAB HT XLPE Cables up to 33 KV are manufactured at its modern manufacturing set up at Chattral. Technological up gradation and Polymer revolution has Replaced the conventional paper insulated cables and thermoplastic insulated cables with cross linked Polyethelene (XLPE) having Better electrical, mechanical and thermal properties with reduced cable weight and dimensions. Worldwide acceptable trends are adopted by AVOCAB’S aim is to manufacture cables of highest quality and to provide customer satisfaction that is unparalleled in the industry. 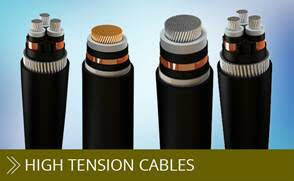 AVOCAB is leading manufacturer of Wires & Cables in India. With a proven track record of more than two decades, we are an ISO-9001:2000 Certified Company With a strong presence in our Industry. Our Well established manufacturing set up is situated in the industrial belt of Chattral, Gujarat and our brand name of “ AVOCAB’’ is a household name across the state and beyond . FRLS PVC Insulated Wires, In case of Fire, reduce the Toxic Smoke Generation compared to normal PVC Insulated Wires. In modern Houses & Offices No. of Gadgets are used which increases Chances of fire due to overload & Short Circuit. Generally Fire is attributed to electric short circuit hence this advisable to use/Install low & non Toxic Smoke generating (FRLS) Wires & cables. 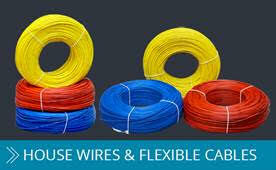 AVOCAB FRLS Wires & Cables have these enhanced properties of PVC Insulation.